Explore the radical changes implemented in the complete reboot of .NET Core and discover why this new version is designed for a world built on devices. 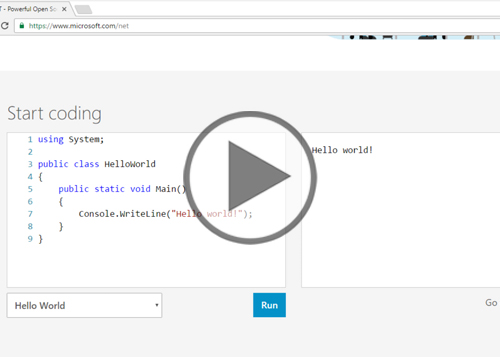 Dive into the history of .NET, ASP.NET, and the Xamarin Platform and learn how to install .NET Core and write a simple command line application. This course assumes that students have some programming background, and at least minimal experience with classic ASP.NET, C#, and Visual Studio. As with any such course, the more experience you bring to the course, the more you’ll get out of it. This course moves quickly through a broad range of programming topics, and is focused on using the .NET Framework with C#. The course also assumed that you are well familiar with how to use the version of Windows that you are running. For example, the course might say simply “open a browser” without explaining how to do that. You should also be able to navigate the folder hierarchy using Windows Explorer.